An external audit is when the systematic review of a specific area of a business by accredited professionals, who are not employed by the company, is carried out. External audits allow for a non-biased and accurate review of a company, which is very important in making sure guidelines and protocols are being met. In July 2013, Drillpower QLD underwent an external audit of all drilling equipment (including the excavator). The external audit also covered our Integrated Management Systems, for example, regarding our work on Petroleum and Gas sites. During the audit, Drillpower QLD was held to the highest standards of best practice and legislation across the industry. We were proud to receive very positive feedback and all our equipment passed with flying colours. Workplace health and Safety is often referred to OH&S (Occupational Health and Safety), however, there is a slight difference as of 2012. 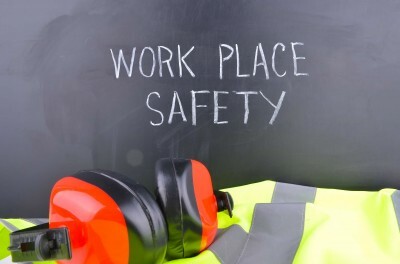 Before 2012, all states and territories in Australia had different laws regarding health and safety in the workplace. So, the government made more standardised laws that could be applied nationally, which is what Workplace health and Safety (WHS) is. Some basic points of interest about Drillpower QLD WHS. Prevent failures that result in harm to the environment, injury and/or illness to our employees and subcontractors. Be regarded as industry leaders in our performance. Provide a safe working environment for all personnel. Development of an Integrated Management System (connected to our Corporate Quality System), which fosters participation, commitment and continual improvement by our employees and subcontractors. No business objective takes precedence over the health and safety of our people and to the protection of the environment! Hiring process: one of our main employee/consultant/subcontractor selection criteria is based on their attitude, standard and commitment to the safety of everyone and to the protection of the environment. In our industry, being experts isn’t enough. WHS counts for a lot, without outstanding WHS Drillpower wouldn’t be working with the calibre of organisations that we are. For example, Drillpower QLD has been accepted onto Brisbane City Council and Transport and Main Roads Panel of Drilling Contractors and are approved suppliers to numerous other geotechnical consultants. Drillpower QLD have recently updated our Work Health and Safety Management Plan. To ensure that all our documents and procedures are in line with the current legislation, regulations and associated codes of practice our WHS Management Plan was reviewed and updated under the guidance of an OH&S company. Drillpower QLD is now working towards getting this Integrated Management System assured and certified. The WHS policy for Drillpower QLD is reviewed regularly and any adjustments and/or improvements are made accordingly. Also, all field operations (carried out under the documented safe operating procedures) are continually monitored and assessed to ensure our working environment is made as safe as possible for all our staff and the public. For any questions regarding our WHS, please contact us. We have our current AHS Manual available to download, however, to gain access to it you will have to be logged into our system first. Again, just enquire with us about it and we will be happy to oblige.